So far, I had not seen that many devices based on Arm Cortex A35 64-bit cores which promise better performance than Cortex A7, while consuming 32% less than a Cortex A53. 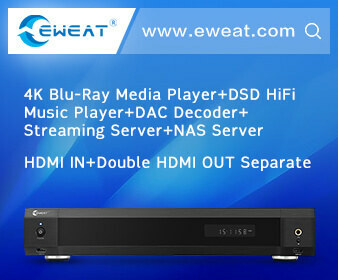 But Mediatek released MT8167B quad core Cortex A35 last year supporting 1080p30 video decoding, and HD+ (1280×800) displays. There’s also a Mediatek MT8167A SoC clocked at a higher 1.5 GHz, capable of handling higher resolution 1920×1200 displays, and 1080p60 videos. 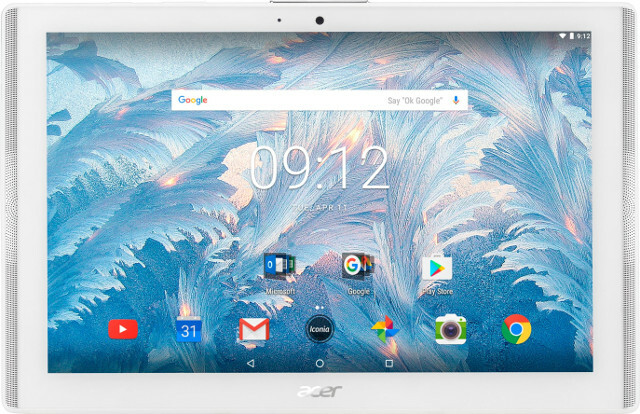 Acer Iconia One 10 tablet – also released last year – is powered by MT8167B SoC, and comes with 2GB RAM, 32GB storage, and a 10.1″ HD+ Display. The tablet runs Android 7.0. Acer Iconia One 10 has been selling since last year, but looking for reviews is quite confusing, as the model name has been used for several year, so you really need to check for B3-A40-XXXX models, which can be based on Mediatek MT8163 (Cortex A53), MT8167A, or MT8167B SoC. If you want to latter, the exact model names are B3-A40-K5S2 and B3-A40-K5EJ based on the information provided by the aforelinked page on Acer website. However, there was also B3-A40-K7JP model that followed the specifications listed above, but appears to be out of stock anywhere I look. That model sold for $103.99 on BestBuy during a clearance sale, and users reviews are generally positive considering the price they paid for it. B3-A40-K6JH is the 16GB storage model, and can be found for $102.99 on Amazon (refurbished). The various model can also be purchased on eBay. Thanks to Eversor for the tip. I went looking for a 10″ pad the other day with a higher resolution screen, 32gb of ram, and the like and found a lot of units which said no ship to US. I found many with just that search criteria, and never did find anything useful. Lower cost ones with 1200 x 700 or so and very old android releases were available, but not the better ones. Ideally as I’m buying new, I’d like to get something with a chance of running Android P, but anything that ships to the US would be a good start. I’ll have to look at this one and see how it fits. BTW, I only searched on Gearbest, not some of the other places you have recommended from. I’m mainly looking for a device that will pretty much just play videos from my local network via SMB shares of the video files. I don’t use anything else to distribute my media inhouse. I’ve had a few of these devices which I’ve ordered which will not accept US for time or locale as well. Any idea what’s up with that? Just a comment on buying Chinese devices for delivery directly to the US. Since you are based in the US, you may want to check Best Buy. Getting one with guaranteed Android P support will be hard. Best Buy is x-ed off my list for now, as an FBI shill operation, given the behavior of their Geek Squad. I wonder if the MT8167A/B are meant to supersede the MT8163A/B. Weaker cpu, but notably beefier GPU — I guess the market has proven the use-cases of those entry-level SoCs to be much more on the GPU side. Do you think we’ve reached a level of ‘good enough’ CPU for this segment of the tablet market? Well, I haven’t touched an A35 yet, but from all the A53 encounters I’ve had, and extrapolating to the A55 yet, I think that that performance bracket is perfectly viable for the entry/lower-half tablet segment, whereas there’s always some ‘new challenge’ on the GPU horizon.